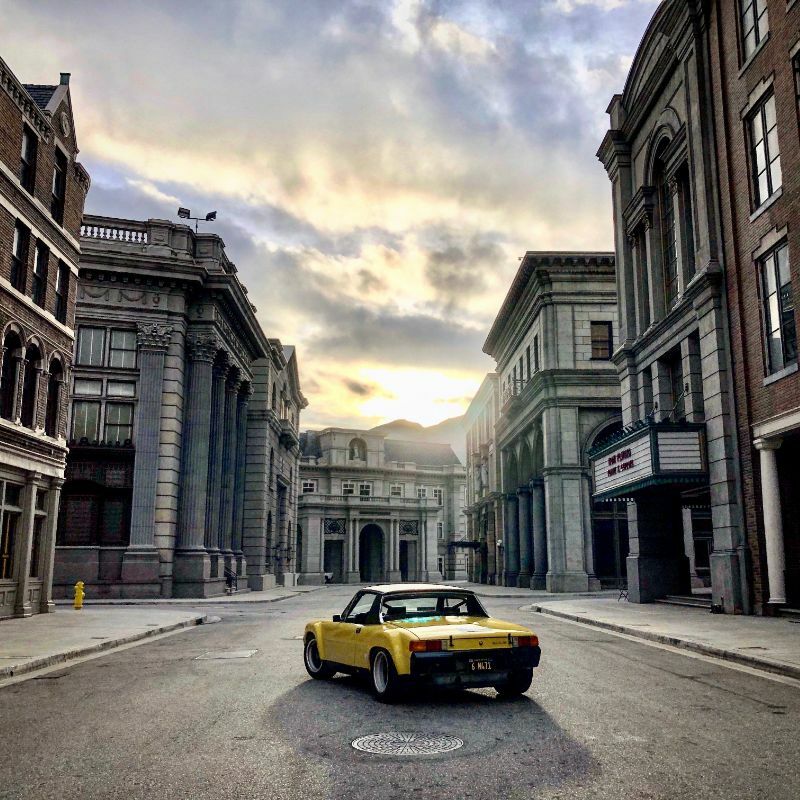 Luft 6 will be held at the iconic Universal Studios Backlot. We have curated an experience that weaves together legendary movie sets such as Courthouse Square from Back to the Future with the air-cooled Porsche story. Photographic composition and backdrops have always been the cornerstone of Luftgekühlt, and this venue promises to present the best yet. Take a journey with us through parts of Hollywood’s history and explore iconic sets where usually only amusement tours are allowed. You won’t want to miss this one. Tickets are on sale now. Go to the Luft 6 ticket page by clicking here. Select 8am Pedestrian or 10am Pedestrian tickets. Check out and download your PDF or mobile passport formatted tickets. If you purchase multiple pedestrian tickets, please be sure to input their first and last names in the form on the ticket page - there will be a list at the gate of all attendees, though the tickets themselves will only display the name of the ticket purchaser. Select the quantity of tickets you want to buy, and be sure to add their names to the form before checkout. Property security requires all entrants over the age of 12 to be ticketed. Each attendee at Luft 6 should be prepared to show identification at the gate. There is on-property pedestrian parking available for ticket holders, but as always we strongly encourage carpooling or the use of a rideshare service to get to the venue. We will be in touch via email with all ticket purchasers for more detailed logistical and navigational instructions as the event date draws closer. To kick off the 6th edition of Luftgekühlt, the Petersen Automotive Museum will host AIR MEETS WATER, on Friday, May 10th with an all-Porsche car show, live DJ, Projection wall, and an exclusive vehicle unveiling! Click here for tickets and details. Last edited by KevinJ; 04-06-2019 at 09:41 PM. I attended last year - it was a fantastic event and truly an impressive feat of logistics and organization. So many significant and cool cars on display, that even I was tired and ready to go home before I had really seen it all! I'll be there. There are a lot of people in the various Porsche communities with their noses bent out of shape because their cars didn't get let into the main show, but the rumors I have been hearing is that the number of cars on display is limited to a couple of hundred (as opposed to ~500 last year), so they put a lot of thought into which cars made the cut. Should be an incredible show - from talking to guys who live there, you can take a tram tour of the backlot at Universal Studio but you can't get off an walk around. So this is a rare opportunity.